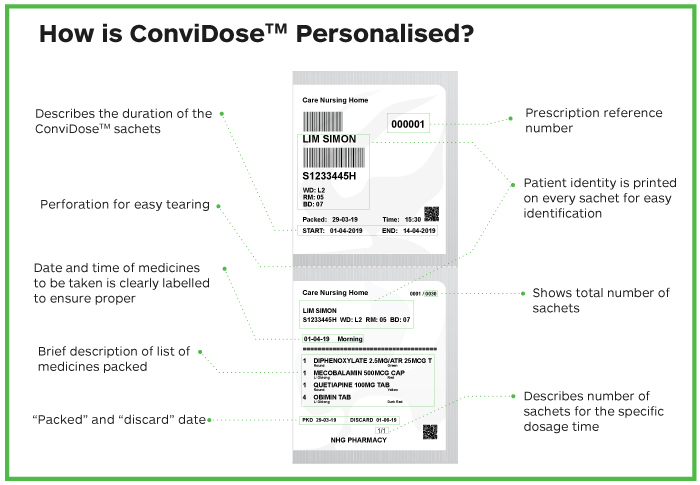 ConviDoseTM is a personalised medication management service. 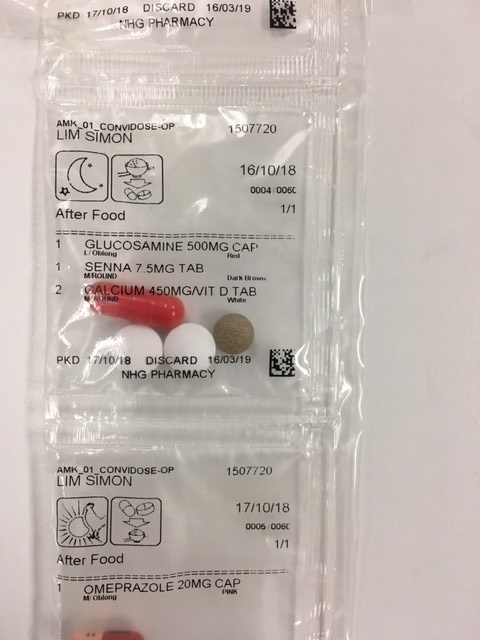 It organises long-term medications into customised sachets for the patient, with stipulated quantity and time the pills need to be consumed. This innovation system streamlines the tedious process of keeping track of medication, making it easier for your nursing staff to manage and administer medicines safely, accurately and conveniently. Contact us today for more information or for a product presentation.